This frangipani tree had a lot of meaning to a customer so they asked if we could relocate it to a new location instead of lopping it. So we did. We carefully dug out the tree from their property in Gladesville and successfully transferred it to its new home in Strathfield. 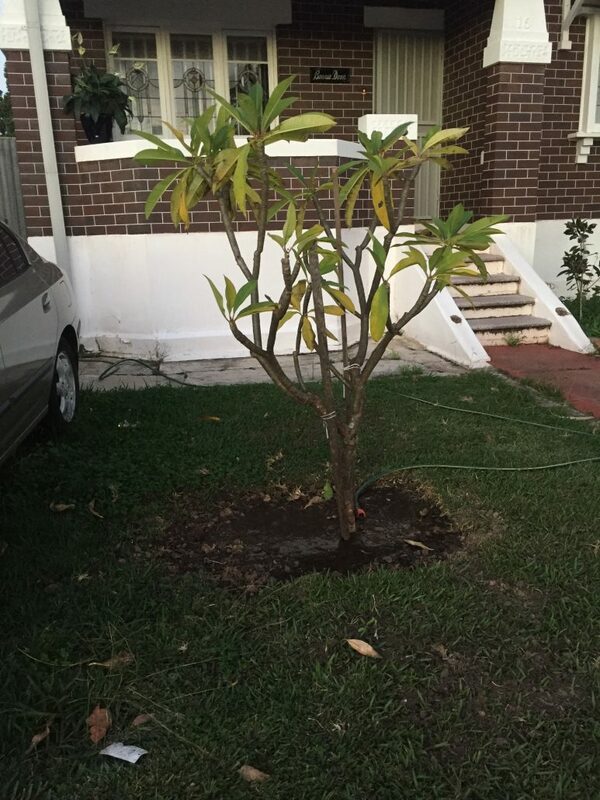 Frangipani tree relocation – its new home.